The photograph above was passed down to my in my great-great grandmother’s photo album. Lavina (Bursley) Stanwood arranged the pictures with her children on the beginning pages, and this unknown woman, appeared on page 26. I suspect it was a photo of her cousin, Isabel (Day) Libby, who lived in Minneapolis during that time. 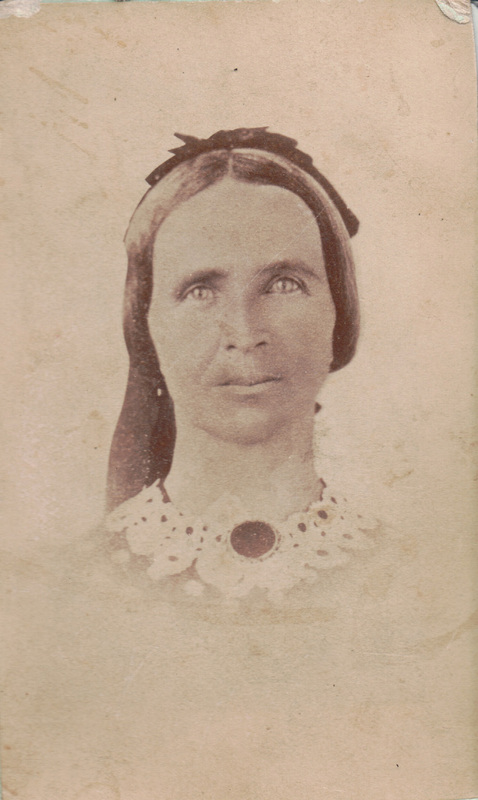 The photo also appeared on the “Scott Kentish and Border” Ancestry.com tree posted by user “devorguilla,” but was labeled as Cynthia Day Lovejoy, which seems unlikely – Cynthia Lovejoy (Isabel’s sister) lived in Maine where she died in 1867, age 29, and the photo was taken in Minneapolis about 1871. Now that I’ve got some clues on Day photo beginning this post, I thought I’d take a look at some additional pictures in Lavina’s photo album. The picture above has posed quite a mystery; to my knowledge, no family members resided in Illinois. 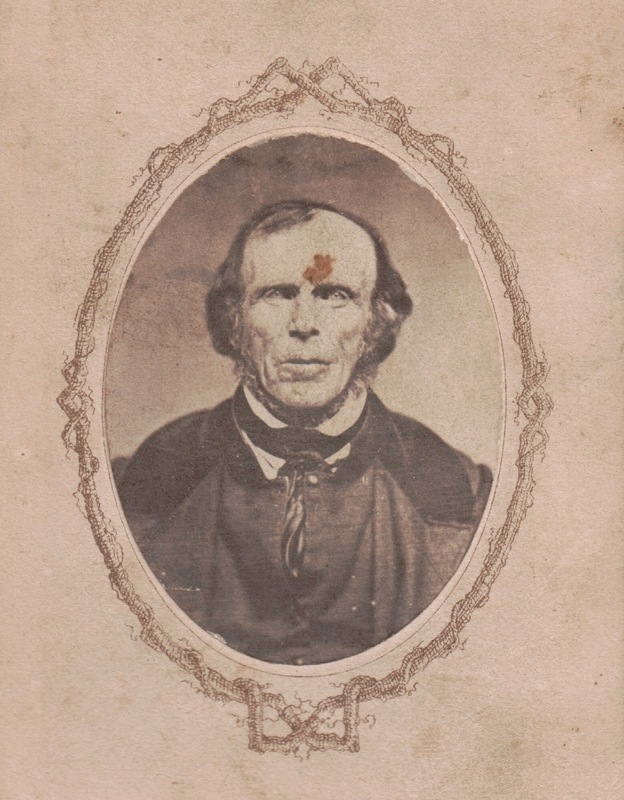 However, more research into the Day family finds James Day, Lavina’s mother’s cousin, lived in Esmen, Illinois, in 1860. 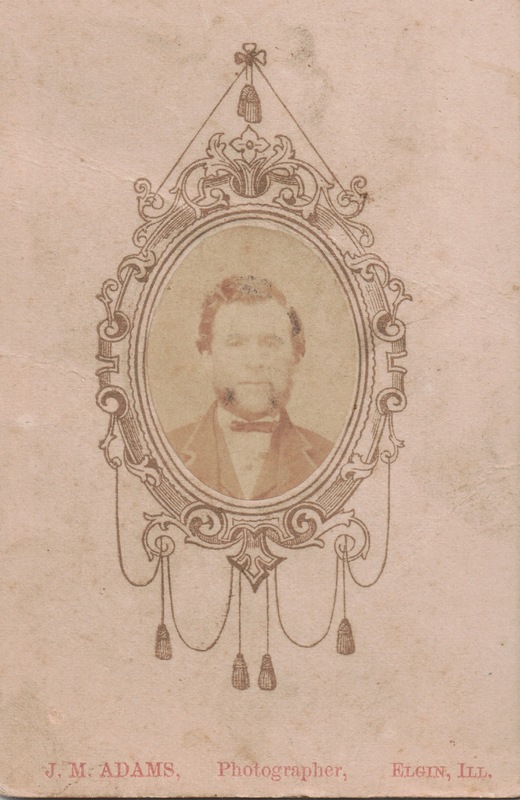 James’ son, John B. Day, died in Chicago 20 July 1902. John, born about 1849, is the right age to be the subject of this photograph, which was taken about 1883-1885, the time frame that J. M. Adams was operating the photography studio in Elgin. No identifying marks or photographer name were included on this picture, which was placed on the same page as a known Day photo. Is he somehow related to Lavina’s mother, Cynthia (Day) Bursley? 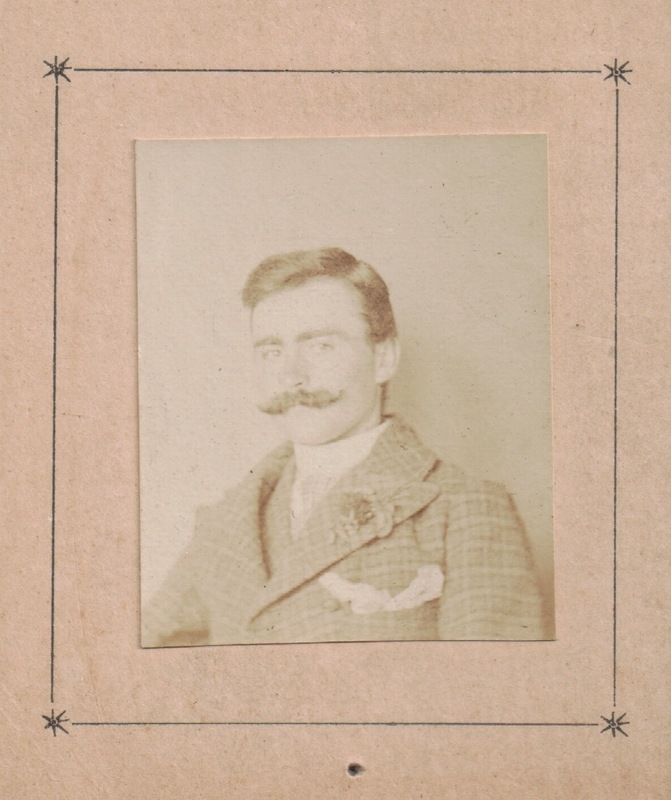 Who is this well-dressed chap? This photo appeared above the preceding one, on the same page as a known Day photo. Comparing his attire to Civil War era photos, I’m guessing this gentleman was photographed sometime around 1865 or perhaps a little later? If so, he is a candidate for Aaron Day, Cynthia Day’s father, or perhaps her father-in-law, Lemuel Bursley. If you can help solve these mystery photos, please shoot me an email using the form below! This entry was posted on Wednesday, April 16th, 2014 at 9:28 PM	and posted in Day, Pictures. You can follow any responses to this entry through the RSS 2.0 feed. « NGS 2014 Family History Conference – decisions, decisions!